When working with hard materials, such as stone, concrete and more, you’ll often require more than just a manual cutter. Here at Roofing Superstore we have a number of grinding discs, cutting discs and drill bits to make cutting hard materials easier. Diamond cutting discs are a great solution for cutting concrete, stone, iron and steel. They have a number of diamonds embedded in the edge of the blade, which grind the material away as it passes along, instead of cutting it. 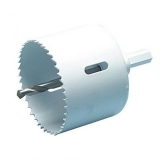 We also stock a selection of holesaws, which are attached to power drills. They cut into materials by spinning at high speeds, and will remove a small circular piece of material, also known as a slug. 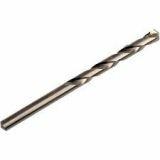 Masonry drill bits are used to drill into hard materials such as stone, tiles, concrete and brick. They are generally used with hammer drills, which creates a pounding force to add extra force behind the drilling due to the hardness of the material.